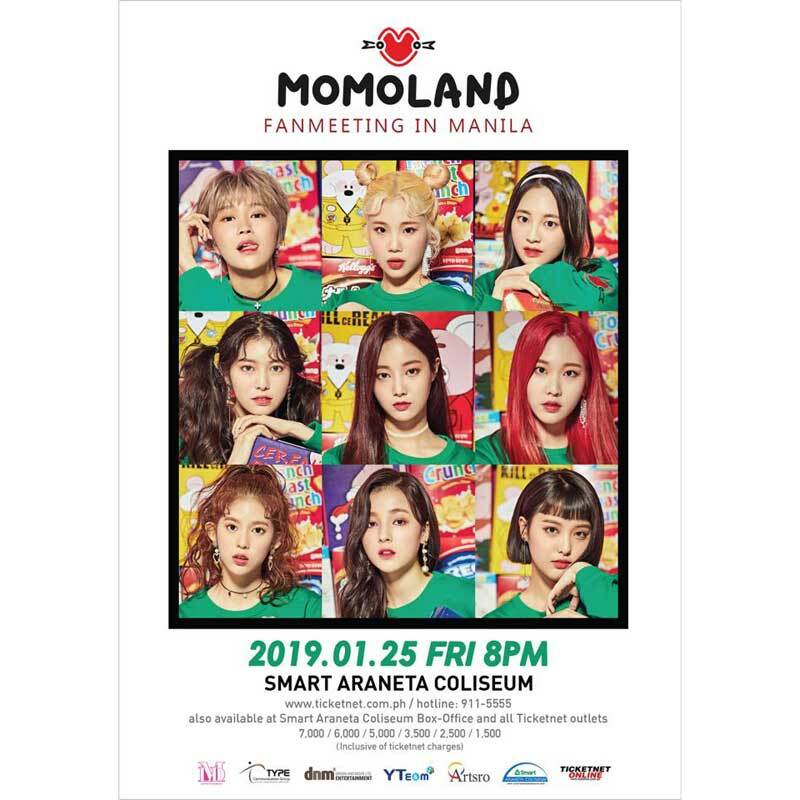 Momoland Live in Manila on January 25, 2019 at the Smart Araneta Coliseum. Momoland Fan Meeting in Manila with Hyebin, Yeonwoo, Jane, Taeha, Nayun, Daisy, JooE, Ahin, Nancy presented by DnM Entertainment. Momoland is a South Korean girl group formed by MLD Entertainment (formerly known as Duble Kick Entertainment) through the 2016 reality show Finding Momoland. The show winners became the seven members, Hyebin, Yeonwoo, Jane, Nayun, JooE, Ahin, and Nancy, and debuted on November 10, 2016, with the EP Welcome to Momoland. Momoland added two members: Daisy (Finding Momoland eliminated contestant) on March 28, 2017 and Kim Taeha (Produce 101 eliminated contestant) on April 10, 2017.